When we think about Digital Humanities from our base here at UCL, it is all too easy to think about the anglophone world and the predominance of Western Europe and North America, and particularly the UK, USA and Canada. So, it was good to see this year’s ADHO conference being held in Mexico City at UNAM (DH2018) as a move to a more global digital humanities. With its theme, “PUENTES/BRIDGES”, it was also pleasing to see to that the organisers had taken a multi-lingual approach with proposals, presentations and conference material in languages other than just English. This was the first ADHO conference in Latin America and the global south. I was very pleased to be able to visit UNAM, Isabel Galina Russell and the National Library last year and so I was not too disappointed in not being able to attend DH2018 – although I did miss networking and catching up with many DH friends and colleagues. Instead, two weeks earlier, I took the opportunity to move beyond the anglophone world myself and presented a paper at the main DH event in China, held for the third time at UCL’s strategic partner Peking University (PKU). 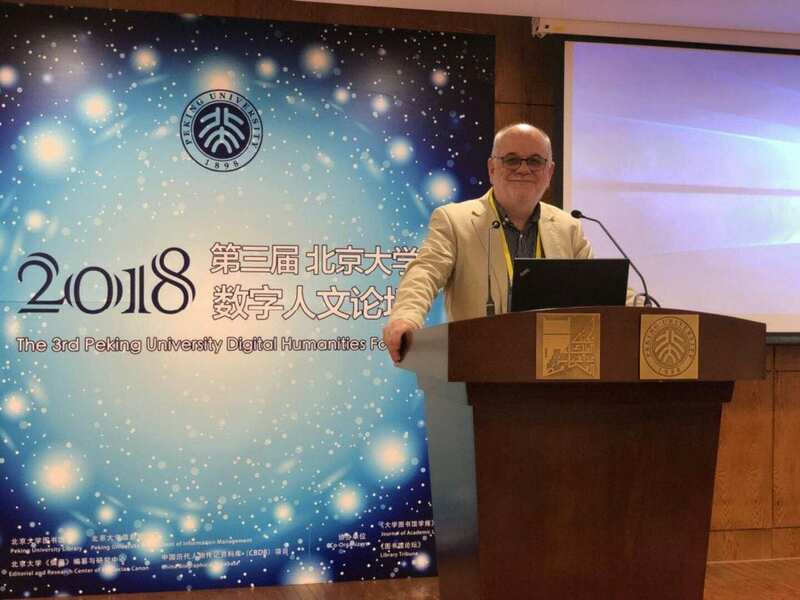 The 3rd Peking University Digital Humanities Forum had the theme: ‘Incubation and Application: How Digital Humanities Projects Cater to Academic Needs’. 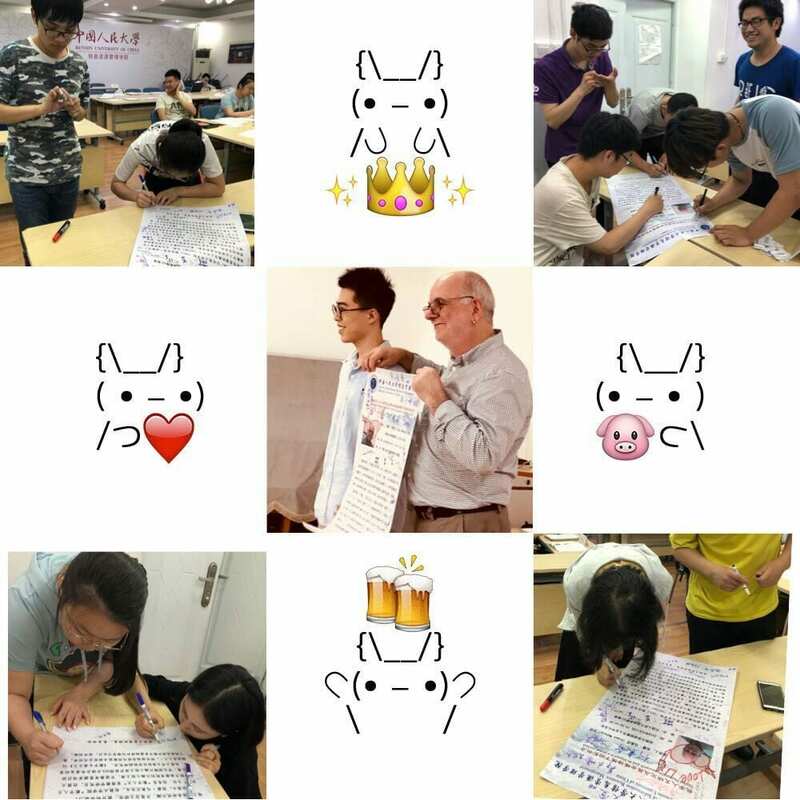 I had the full experience of what it must be like to attend an English speaking conference if you do not speak the language – everything was in Chinese with no translations. 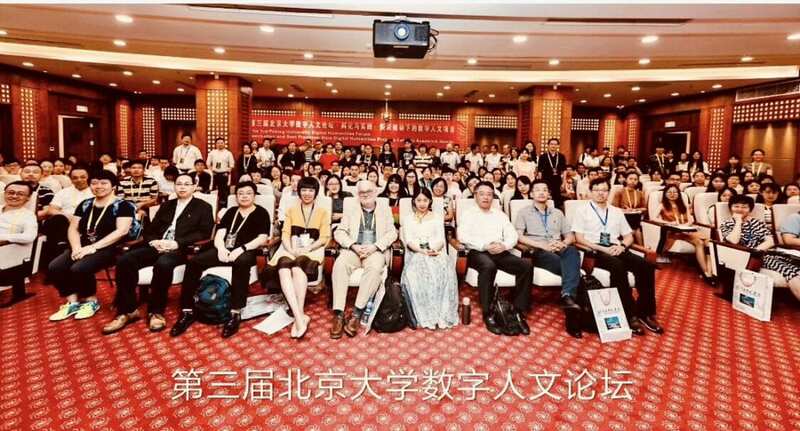 I was the only ‘foreigner’ (non-Chinese) at the Forum which also had several speakers from Taiwan and Chinese scholars based in the USA. Although mine was the only non-Mandarin presentation, there were a surprising number of familiar words in many of the others (metadata, big data, linked data and several others, again pointing to the dominance of the English language in our field). My presentation was in collaboration with my Chinese PhD student, Jin Gao (who could not attend as she was presenting her work at DH2018), and benefited from her translations to enable bilingual (English and Mandarin) slides to aid the audience. I was not alone and so all was well; there were many friends there and hosts from my earlier networking visits to Beijing, Shanghai, Wuhan and Nanjing – I was not short of company. 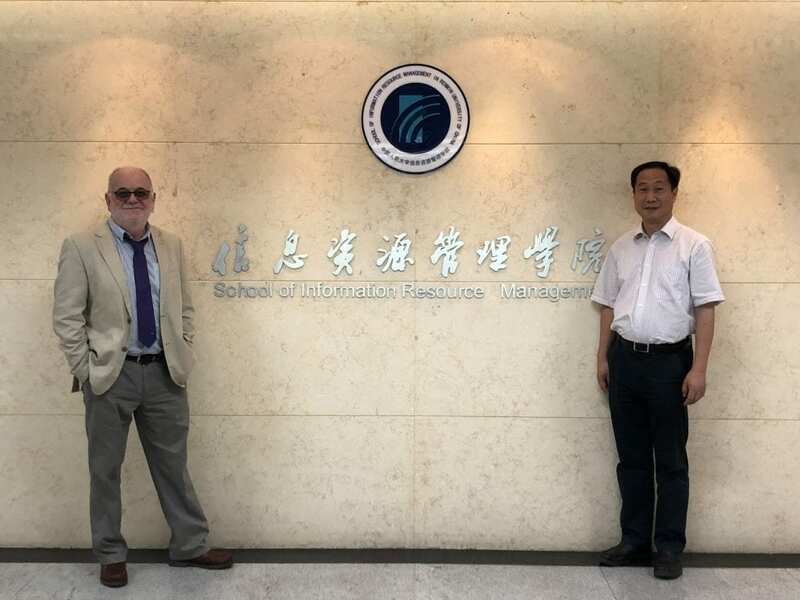 In addition, the day before the Forum I had been invited to give a presentation to the DH group at Renmin (The People’s) University in the School of Information Resource Management, following their visit to UCL DIS last year. The delegates from Renmin very kindly picked me up from my hotel and dropped me back after dinner – always worrying that this ‘foreigner’ might get lost. I explained that I was a seasoned traveler (and sailor) so there was no problem, except perhaps crossing the road! Renmin is not far from PKU and I had strategically picked a hotel midway on the road that linked the two. PKU is a large and sprawling campus and so I was very grateful for being so well looked after. For anyone wondering about visiting China, their hospitality is exceptional and they are very welcoming to foreign visitors. There was, in addition, a DIS student from the Information Science programme at the Forum and a PhD candidate from King’s Department of Digital Humanities who between them, together with their phone camera translations of the slides, updated me with what was being said. 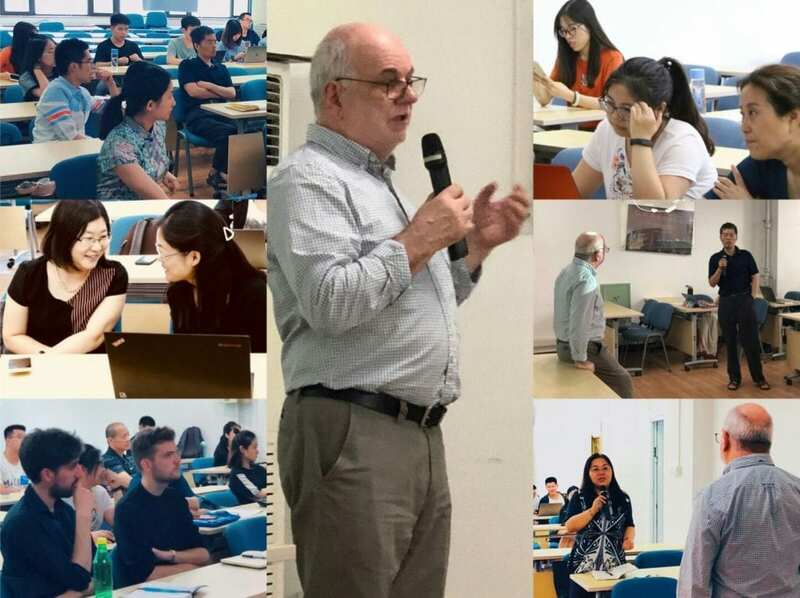 The visit to PKU was rounded off with a talk in the PKU Faculty of Social Sciences. And, of course and as always, the Beijing visit was completed with a dinner in the warm company of former students.